We believe in transforming lives, not just relieving pain! At Provolution Health, many of our new patients come to us tired and frustrated. Are you having this experience? You’ve been to a number of health professionals who haven’t been able to identify or help solve your ongoing pain and health concerns? Well, we pride ourselves on being different and are here to help! Our team will focus on finding the root cause of your problem so we can provide a lasting solution. Additionally, our warm, vibrant and genuine atmosphere will make you feel comfortable from the moment you walk through our door. It’s our goal to lift you up from the first time you visit us, having your healing start from the moment you arrive. One of the main compliments we receive is how welcomed and supported our clients feel. Come and experience it for yourself! 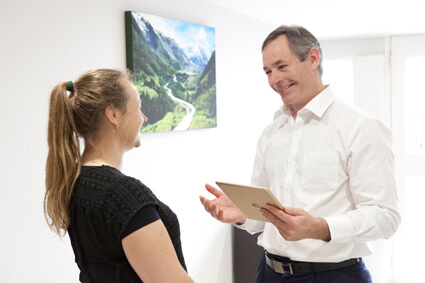 You’ll meet with one of our caring, talented chiropractors for a thorough consultation including discussing your history, current concerns and what outcomes you’re seeking from care. If necessary, we’ll refer you for other testing such as X-rays or blood tests and may recommend a body composition analysis or neurofeedback, in order to get a comprehensive understanding of your presenting concern as well as your overall health. This appointment takes approximately 30 minutes. When you return, we’ll review all of your tests and any X-rays taken. 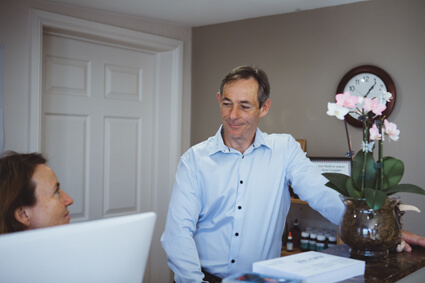 Our thorough testing approach allows us to give you a correct diagnosis, then put together a recommendation of care tailored to your needs – whether you want to get out of pain, correct your health concerns, start a wellness program or transform your entire life. You can move forward with confidence, knowing you’re going to experience the change you desire. Your care is reviewed at regular intervals, and we’ll continue to modify the program based on your changing needs. If you’re seeing one of our chiropractors for care, you can visit as often as you’d like based on your goals. Chiropractic is just one aspect of your healthcare, and although an extremely powerful tool – we must also consider exercise, diet, life-work balance and emotional health as interconnected parts. By providing a holistic and complete approach to your health, together we can start to shift and transform your health and quality of life.